By Xah Lee. Date: 2014-03-31 . Last updated: 2016-06-29 . Here's shell command to change sound volume. you can setup a key such as 【Super+↑】 and 【Super+↓】 to adjust sound level. See Linux: Keyboard Software Guide. 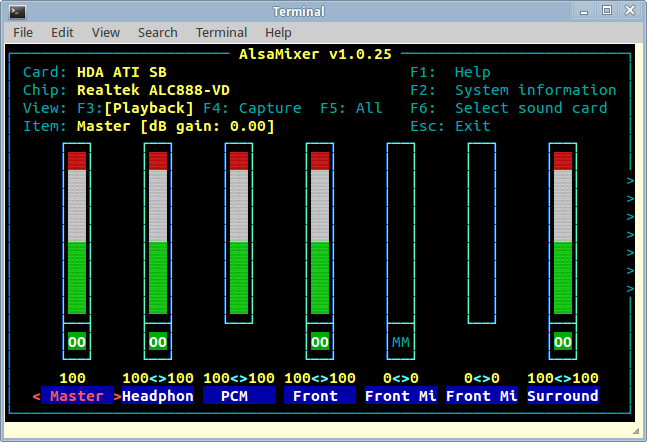 Here's how to change sound interactively in terminal. Then, you can use up/down arrow keys to adjust volume. Mouse scroll-wheel also works, if your terminal supports it.